Cant help with that one Bob. Only plate info I have but anyone care to guess? Not always. I had a Series #3 a few months ago. No plates or marks where one may have been anywhere else (full access 3ft around). Never did arrive at an answer to that one. If I remember right, it was reference dated late 1930's. 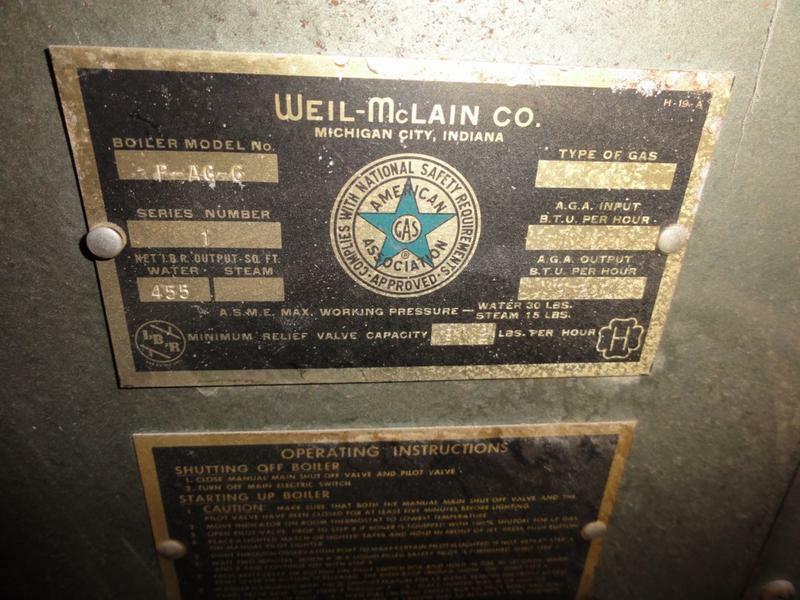 (Didn't have the Weil-McLain contact info back then). I'm going to say 1932. Hmmm sounds crazy but the home is a 1925 brick bungalow. Just i thought Bob it looks more like late 50's early 60's just from the style. Any serial numbers on the burner? Have another coffee and read #8. Pre-60's. I'm gonna say 1955. BTW- The CP numbers started in '77. 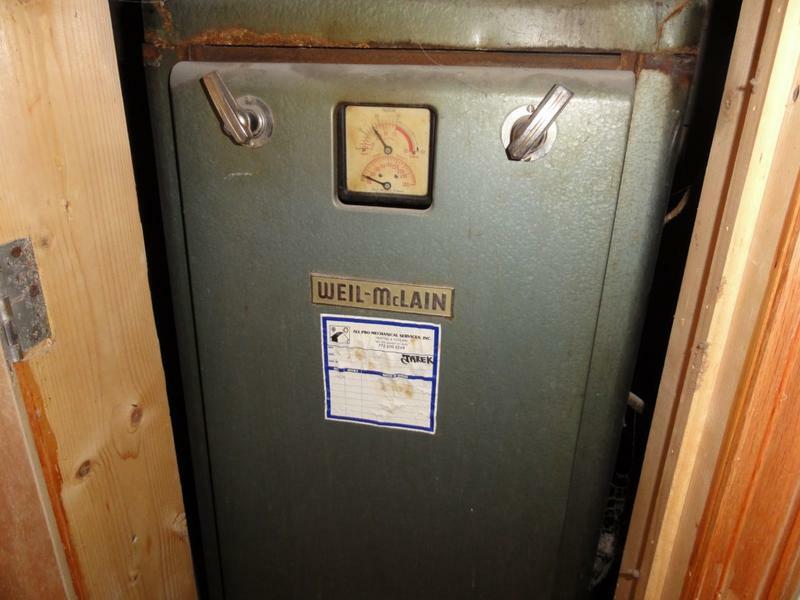 I have a Weil-Mclain Co. water heater for my radiant heat. the water pressure stays at 0 and is not heating the floors. any ideas on whats wrong? it is Series #2 model G-8. Either that or no water, blockage,etc.Could be a lot of things but why not just call the HVAC guy? Honestly would not try to fix it unless my neighbor with trade skills came over to lend a hand. Forum advice does not always translate to skills.